« JAKE & APHRODITE – BACK IN PICTOU! 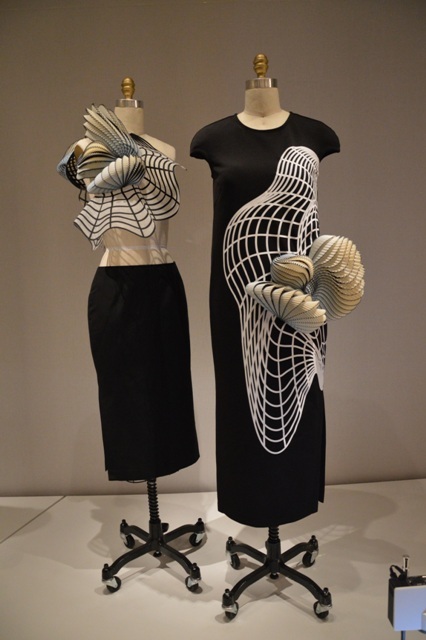 The exhibit includes couturier designs that date back to the 1930’s featuring Lanvin, Madame Gres, House of Dior right up to contemporary leading designers such as Issey Miyake, Karl Lagerfeld and Alexander McQueen. Many are now employing 3D computer printed imagery. For more details enjoy the videos that appear on the website for the exhibit. Gorgeous. Thanks for sharing the world with us!